It’s hard being the age that my husband and I are now – 43 – because it seems like everyone is losing parents. It’s become a common conversation among friends and an up-and-rising theme in my Facebook feed, posts about unexpected deaths, heart attacks, physical ailments, and health scares among the generation that raised us. And the truth is, it stinks. There’s no trick to avoiding it or getting around it. We want our parents to hang in there as long as possible – to watch their grandkids grow up, graduate, get married and have babies – but having them hang in there also means watching them grow older and seeing their bodies weaken, their spirits get broken, and their mental capacities decline. Our Papou was an incredible man. He loved hard, worked hard, and fiercely protected the people he loved. He was a patriarch, a protector, and a provider. And though he wasn’t himself in recent years due to the onset of Alzheimer’s (a cruel and terrible disease), I can vividly remember him at his best, lighting up at the sight of his grandkids and watching them light up too as they ran into his arms. Of the many gifts Papou gave me, I’m most thankful for how he shaped my husband. You see, he taught Harry how to be a man. He set the bar for how to cherish your wife and adore your children. Papou showed Harry firsthand what it means to be loving and gentle yet protective and strong, how to run a business by day and then switch gears at night as he walked in the front door and came home to love his family with all his heart, mind, and soul. I’ve been thinking recently about that movie My Big Fat Greek Wedding, and how perfectly true it is. Breaking into the circle of a tight-knit Greek family is no small feat, but once you’re in, you’re in. You’re embraced and fiercely protected, too. What stood out most to me in the way Papou parented is how he embraced what mattered to his family. If a person was important to his loved ones, they were important to him. This is why he knew his children’s friends so well and constantly engaged in their lives, always welcoming them into their home. This is why he adored his wife’s parents and siblings and made concerted efforts to visit them because he understood how close they were. What mattered to his family mattered to him. I must say, however, that the family was thrown for a loop when the oldest children fell in love with 2 non-Greeks. About the time that Harry and I got engaged, so did his sister Renee, which meant that Harry was about to marry a Catholic and Renee was about to marry a Southern Baptist. It’s really comical as I think back on it. During our engagements, my future brother-in-law Shane and I occasionally conversed about how hard it was to crack the family circle. Why did we sense some resistance? What made them skeptical of us? What on earth would it take to gain their wholehearted acceptance? As it turned out, it needed to be established that we weren’t threats. Our intentions were good, we genuinely loved Harry and Renee, and they genuinely loved us. While the family dynamic would change, the change would be positive. Papou was protective of this family he’d carefully nurtured, but once he understood where everyone’s heart was, we were embraced. And from that point on, there was no looking back. Shane and I became family and part of a circle that would eventually expand into grandkids and another son-in-law named Brian (who, by the way, encountered no resistance in marrying Elene because Shane and I paved the way. Right, Brian?). 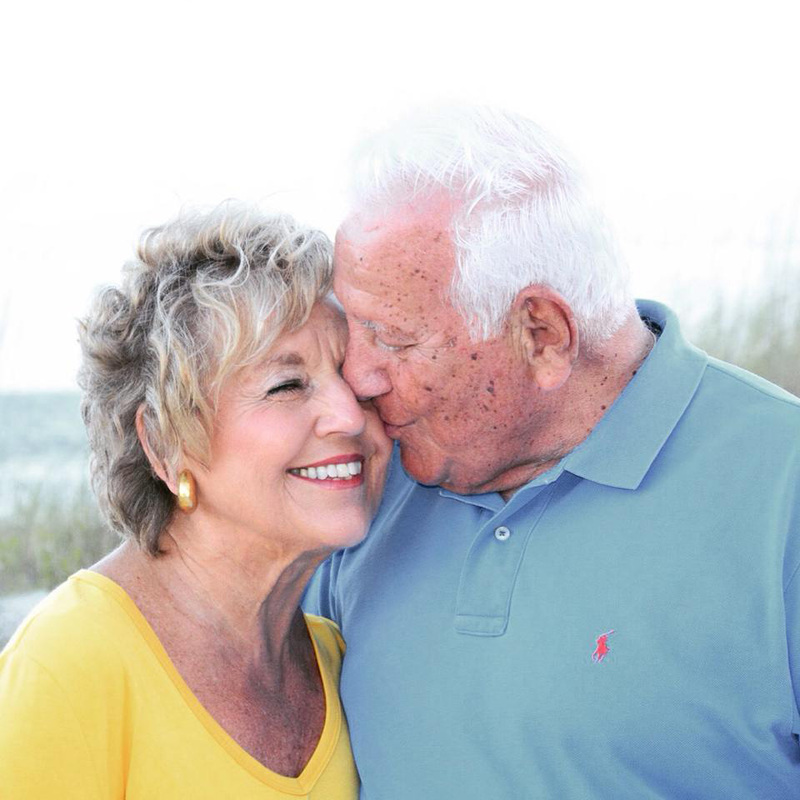 Our Papou was a one-of-a-kind, big-hearted man with a jolly smile. And what’s harder than processing my feelings is watching my husband and kids process theirs. To see the cousins all crying and consoling each other as they paid their last respects to Papou’s open casket, and then hear the symphony of both children and adults sobbing as that casket closed for the final time, was the low point of this journey. It has also been heartbeaking to see my husband deal with the punch in the gut that came on New Year’s Eve when his father died unexpectedly and suddenly. Harry and his dad were exceptionally close, not only as father and son, but also from working together in the family beer business for 20 years. Papou impacted every inch of Harry’s life, and both personally and professionally, Harry loved and respected him. In the days after Papou’s death, my heart split open every time Harry said, “I lost my dad. I lost my dad.” Immediately he and I would hug and cry, both of us reduced to tears by four simple words. Yet even in the tears, the sadness, and the mourning there is a bigger and more beautiful picture being painted. There is powerful evidence of God’s presence and peace. The outpour of support from family and friends has been amazing, and two verses I keep thinking of are “The Lord is close to the brokenhearted” (Psalm 34:18) and “He comforts us in all our troubles so that we can comfort others. When they are troubled, we will be able to give them the same comfort God has given us” (2 Corinthians 1:4). As I have told my daughters, God never wastes our pain. The comfort He gives us in hard times will allow us to help others later on. It makes us kinder and more compassionate. You can tell who has lost a loved one by the way they respond to death. For one, they’re quick to show up. They’ll appear on your doorstep without worrying about whether or not any company is wanted. Two, they hug tighter and longer than most people. And three, they have a knowing look in their eyes, a deep sadness that is oddly comforting. The other day I spoke to a sweet friend of Elene’s named Beth Little whose mom passed away a few years ago. Because she and her mom were tight, it was a painful blow. One thing that’s particularly difficult for Beth is decorating her Christmas tree, because her mom always gave her ornaments with pictures of special events like their wedding, their first dog, kids at the beach, etc. I love this ritual because I think it’s important to let yourself have those moments and be honest about your feelings. And if it’s been 10 years since your loved one passed, and thoughts or memories of them still make you cry at times, that’s okay, too. Because love has no time limit, and sometimes tears are the best evidence you have of having truly loved someone and missing their presence in your life. Because the fact is, there is always hope when someone falls asleep with the Lord. There’s the hope of heaven, eternal life, and an eventual reunion. Jesus conquered death through His death and resurrection, and because of Him, we’ll get to see Papou again. We’ll join him in experiencing a heaven with no pain, no sorrow, and no suffering. Our family is at peace knowing Papou is with Jesus now (hopefully playing with his calculator and talking business as he loved to do). He can communicate again with a sharp mind and his trademark wit. I find it telling that even on Papou’s worst days, when he couldn’t remember family members or verbalize a complete sentence, he never forgot the Lord’s prayer. Before every meal, he and YiaYia recited the “Our Father” from beginning to end. To me this was a miracle and a tender reminder from God that He was present then and still is now. I’d like to end with a message that’s broader is scope: Pain is pain, and whatever pain your heart feels right now, it hurts. 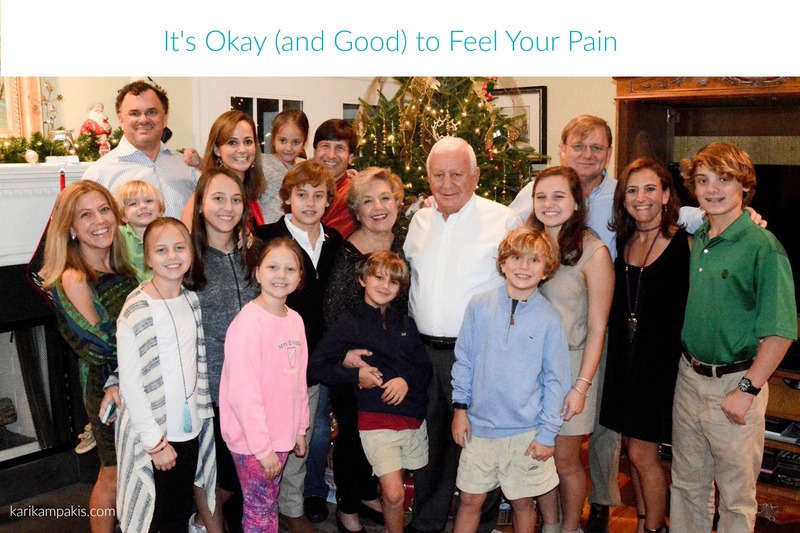 Whether your pain is due to death, divorce, parenthood, or life circumstances, it’s okay (and good) to feel it. It’s okay (and good) to cry and acknowledge how raw and vulnerable you feel. Even in your deepest pain, there is always hope. God is with you and God hears your prayers, and when you trust Him to guide you and open your eyes to the blessings you receive even in the midst of sadness, your pain becomes bearable. God is the Master of bringing comfort, hope, and supernatural peace. So let yourself cry and let yourself grieve, but cry and grieve like people who have hope. Because our God is a God of hope, one who draws remarkably close in our time of need and works all things together for good for those who love Him (Romans 8:28).